Cute Adorable Moments of the Pokemon Series! Discussion in 'General Pokémon Discussion' started by shoz999, Nov 5, 2018. 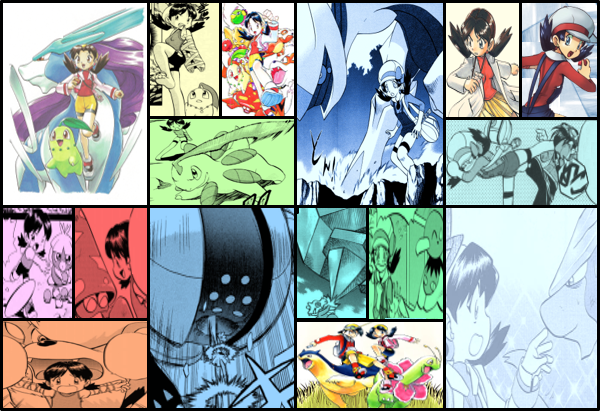 As the thread implies, list and explain your favorite cute adorable moments of the Pokemon series! Here's one of my favorites. One of my favorite moments is Hugh confronting his sister on her birthday. Despite being an angry dude with no chill practically all the time, he does have a sweet side. More specifically he's tries with all his hard effort not to be angry lol for his little sister on multiple occasions. The above picture is a scene that's mentioned in the Black and White 2 games but is never shown. 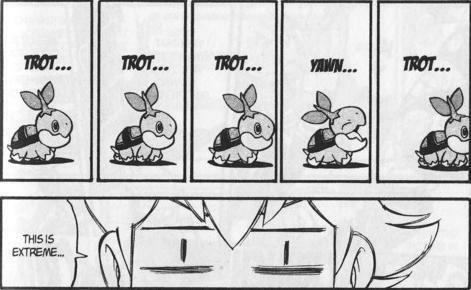 In Pokemon Adventures, the scene mentioned in the games is expanded upon and given life and character to it. We see an adorable, funny and sweet moment of a younger Hugh giving his sister her very first Pokemon on her Birthday. We see how much Hugh cares about his sister to the point he has real difficulty trying to chill out that it's just funny and cute. Also I got fed up with Pikachu so much over the years that I forgot how adorable he was in the Kanto season. So pretty much "Pikachu in almost every part of the Kanto saga"
I remember that song. That was released before Sun and Moon came out, boosting Mimikyu's popularity. AgentKallus and Orphalesion like this.